Bro. LeRoy Viera,92, died January 20, 2019. Bro. LeRoy was a veteran, a skilled carpenter and an artist who dedicated his life as a working brother serving in maintenance and construction positions in Marianist schools and ministries. He found great joy in everything he did in dedicated service to Mary. Fr. Richard Wosman, 59, died January 21, 2019. Fr. Richard was many things—a teacher, a scholar and an administrator. Through his many years devoted to Catholic Education, he sought to instill the presence of God in the hearts and minds of all he served. Fr. 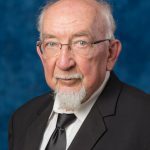 John Bakle, 82, died March 12, 2019. Fr. John was a veteran, military chaplain, teacher, guidance counselor, pastor and administrator in Marianist high schools, youth programs and retreat centers. Bro. William Chewning, 94, died January 7, 2019. Bro. Bill was a teacher, high school administrator and professor whose great love for science was only eclipsed by his much greater love of faith and prayer. Bro. Edward Zamierowski, 85, died January 7, 2019. Bro. Ed was a high school teacher, professor, mentor and environmental advocate. Serving in both the United States and Africa, he inspired others with his vocation as a Marianist and his commitment to service and social justice. Bro. Bernard Stratman, 71, died January 10, 2019. Bro. Bernie held many national leadership roles in the Catholic Church in the US. He dedicated his knowledge in communications to help guide and shape the future of the Church in the U.S. and nourished it with the Marianist Charism. Bro. Bernard Zalweski, 81, died November 10, 2018. Bro. 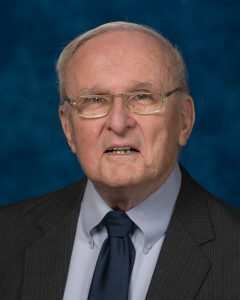 Bernard “Ben” Zalewski was a teacher, professor and software consultant who served at the University of Dayton in Ohio and several Marianist high schools throughout the United States and in Africa. Fr. William Behringer, 86, died November 20, 2018. Fr. Bill was a teacher, chaplain, pastor, administrator, missionary, author and Marianist formator. In his more than 69 years of dedicated religious profession, he served as provincial, master of scholastics and director of novices. Bro. Joseph Barrett, 93, died August 7, 2018. Bro. Joe was a beloved teacher, guidance counselor, vocation director and mentor serving in Marianist schools, colleges, and communities. Fr. Joseph Stefanelli, 96, died August 17, 2018. Fr. 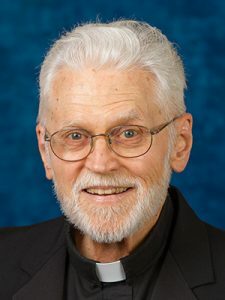 Joe was a was a Marianist historian, author, teacher, mentor, translator, novice director, pastor, and Provincial for the former Marianist Pacific Province. Fr. Edward Jach 86, died June 7, 2018 . Fr. Ed was a teacher, school chaplain, pastor and dedicated many years to Marianist formation. Bro. John Rohe, 87, died June 13, 2018 . Bro. John was a gifted teacher. He inspired countless students with his love of science and his love of Mary. Fr. Richard Kuhn 90, died July 5, 2018 . Fr. Richard was a beloved teacher and chaplain who inspired many with his devotion to Mary and apostolic focus on family through his retreat ministry. Bro. Eugene Frank, 86, died April 22, 2018. Bro. Gene was a gifted musician, scholar, and spiritual seeker. He was a beloved teacher, administrator, archivist and IT specialist in both the United States and Korea. Bro. James Droste, 83, died April 14, 2018. Bro. Jim was a teacher, pastor, and grounds keeper who inspired many with his prayerful devotion to our Blessed Mother. Fr. Francis Nakagawa, 90, died Feb. 24, 2018. Fr. Francis was a teacher and pastor who was much loved by the Japanese Catholic community in Hawaii. Bro. Gerald Hyland, 95, died Feb. 11, 2018. Bro. Gerry was a teacher and an artist. He entered the Society of Mary after serving in World War II. Fr. Richard Loehrlein, 87, died Jan. 21, 2018. Fr. Richard was as missionary, teacher and chaplain. He served in Eastern Africa nearly 30 years. Bro. Donald Schaaf, 81, died Jan. 3, 2018. Bro. Don was a teacher and business manager who also ministered in the juvenile justice system. Bro. Anthony Pistone, 82, died Dec. 6, 2017. Bro. Tony was a teacher and school administrator who also served as assistant provincial. Fr. Paul Landolfi, 90, died Nov. 16 , 2017. Fr. Paul was a teacher, chaplain and spiritual director. He will be remembered for his gentle kindness and his dedication to the mission of Mary. Bro. James Fitzgibbons, 81, died Nov. 6, 2017. Bro. Jim was a well-traveled teacher and formator. He served in Zambia, Nigeria, Peru and India as well as in the U.S.
Bro. Thomas Payne, 72, died Nov. 3, 2017. An eager, outgoing man, Bro. Tom had a gift for helping those in need. He served in prison ministry and police and fire department chaplaincy. Bro. Louis Ernst, 81, died Sept. 23, 2017. Bro. Lou was an educator who ministered in Missouri and Texas. He will be remembered as a patient tutor and a dedicated supporter of student activities, particularly sports. Bro. James Moran, 90, died Sept. 8, 2017. Bro. Jim had an atypical Marianist journey, entering the congregation at age 60. He is remembered for his skill in teaching English as a second language. Fr. Daniel Triulzi, 70, died Aug. 20, 2017. Fr. Dan was a scholar and educator with a broad international background. He spoke multiple languages and was an accomplished pianist. Fr. Paul Neumann, 87, died May 11, 2017. A gentle, willing servant, Fr. Paul ministered in high schools in the United States, and in parishes and communities in Peru and Mexico. Bro. Ray Miklich, 88, died May 9, 2017. Bro. Ray spent more than 50 years in ministry at St. John’s Residence for Boys in New York. He is remembered for his earnest dedication to his work. Bro. John Totten, 103, died April 28, 2017. Bro. John was a respected educator and was known for his love and knowledge of Marianist studies. He was a cherished wisdom figure in the Society of Mary. Fr. Christopher Conlon, 81, died March 26, 2017. Fr. Chris was an educator and campus minister who served in both high school and university ministry over a 55-year career. Bro. Thomas Tessmer, 81, died March 13, 2017. Bro. Tom was a math teacher and assistant principal who served for many years at St. Mary’s High School in St. Louis. Fr. Joseph Tarrillion, 83, died March 2, 2017. Fr. 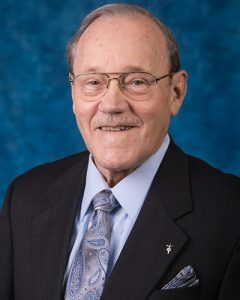 Joe was considered a true “Marianist educator.” He ministered as a professor at St. Mary’s University and as president of Central Catholic High School. Fr. David Paul, 78, died February 22, 2017. Fr. Dave was an educator and school administrator. In his later years, he became a passionate fundraiser for Marianist ministries in developing countries. Bro. John Haster, 77, died January 16, 2017. Bro. John was a longtime teacher and principal at Marianist high schools in California. He also served in administration for the former Province of the Pacific. Bro. Francis “Skip” Matthews, 77, died December 14, 2016. Bro. Skip was a generous, joyful caregiver who ministered to the sick, the homeless and the in-need in Zambia, on Los Angeles’ Skid Row and at Marianist high schools. Bro. Robert Wood, 89, died December 6, 2016. Bro. Bob had a long and distinguished career, serving as a missionary, college professor and archivist. He was the first American to be Secretary General of the Society of Mary. Fr. Joseph Tedesco, 64, died December 2, 2016. Fr. Joe — affectionately known as Fr. Teddy — was a teacher and counselor who served at Marianist high schools including Archbishop Moeller, Villa Angela–St. Joseph and Chaminade-Madonna. Bro. Charles Wanda, 80, died September 21, 2016. Bro. Charlie was a gifted artist and teacher. He was a pillar of Archbishop Moeller High School for nearly 40 years. Fr. Lawrence Mann, 100, died September 1, 2016. Fr. Larry was a beloved teacher and pastor. During his long ministry, he served mostly in Hawai’i and California. He will be remembered for his good humor and sharp intellect. Bro. David Conrad, 86, died August 28, 2016. Bro. Dave was a traditional “working brother,” who served quietly and with great dedication and competence. He ministered for many years in Nigeria during that country’s civil war. Bro. Cletus Behlmann, 82, died July 12, 2016. Bro. Cletus was a commercially successful artist known for his use of bold colors. He was the director of the St. Mary’s University Art Center for nearly four decades. Fr. Robert Backherms, 88, died April 18, 2016. Fr. Bob was a high school teacher, retreat leader and administrator who also ministered in India and Eastern Africa. He is remembered for his joyful, generous spirit. 2016. Fr. George served in parish ministry in the eastern United States. He was deeply devoted to Hispanic ministry. Bro. Paul Fennelly, 74, died February 14, 2016. Bro. Paul served in administrative roles, mostly in California. He will be remembered for his unwavering reliability and gentle humility. Bro. Gene Meyerpeter, 88, died February 5, 2016. Bro. Gene was a teacher and school administrator who was an advocate of technology and innovation in secondary education.